To book this room or another room, call our friendly team on 01952 727251 or clicking the button below. Our rooms reflect the diverse character of our buildings. 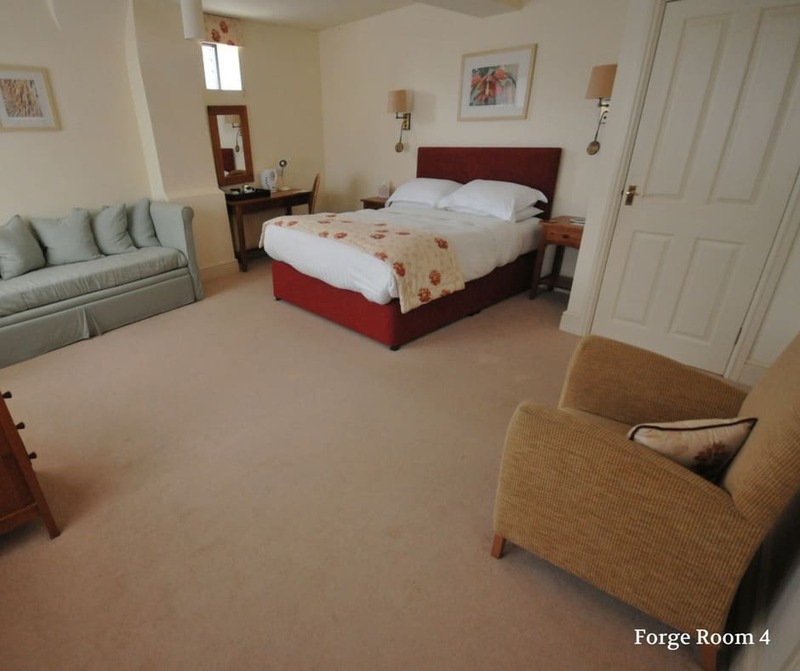 Some light and airy set within the original 17th-century coaching inn, others cosy and intimate reflecting the history of the medieval hall and finally a short walk to the towns original Forge, our forge rooms are characterised by light and tranquillity. As expected, all our rooms include an en-suite bathroom, free wifi, flat screen TV, tea and coffee making facilities and Gilchrist & Soames luxury English toiletries.